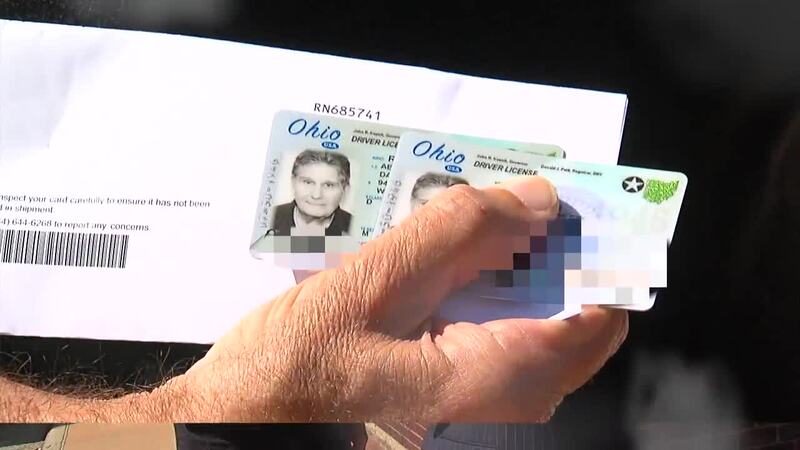 Among the first people to apply for the new Ohio driver's licenses July 2nd was Dave Aberman of West Chester, Ohio. He was aware the BMV no longer prints licenses while you wait, so he went home and checked his mail every day. "I received my new drivers license in the mail, 10 days later as they promised," Aberman said. Everything was great, until a second Ohio MBV envelope showed up almost a month later, containing a surprise: another new license inside. "Last week I received a second driver's license that was unsolicited," he said. Aberman had never heard of anyone receiving a duplicate license and was suddenly very confused. "Which one do I use," he said. "Do I use the original one I received a month ago, or do I use the new one?" You might wonder what's wrong with having a second drivers license. With a lot of things, after all, it's always nice to have a spare. But the problem is if that second license fell into the wrong hands, Aberman worried he could conceivably could have become an identity theft victim. 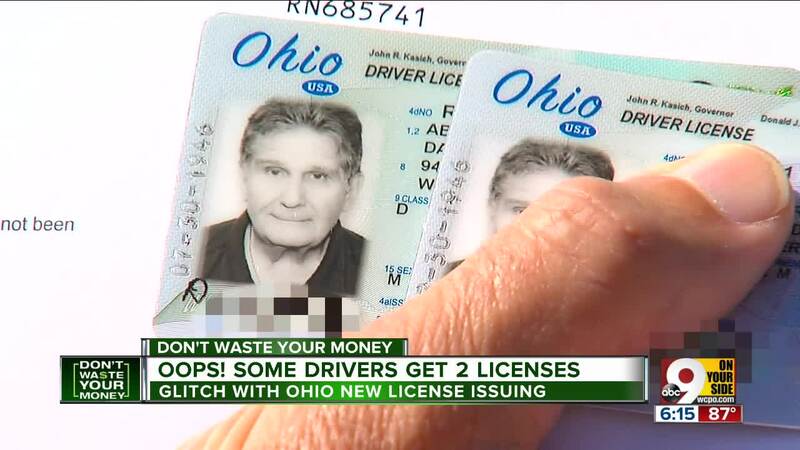 WCPO contacted Ohio's Department of Public Safety, which oversees the BMV, and learned of a glitch during the initial week of the new licenses. Spokeswoman Linsey Bohrer said the mix up was caused by a vendor error. "A small number of licenses issued the first three days had a bad magnetic strip, due to a vendor error," Bohrer said. "We are now re-issuing those licenses." She said drivers should receive a letter explaining the problem and telling them to cut up the first license. But Dave Aberman says he never saw any such letter. "They should have a security protocol at the BMV, and I would like to know why I got two licenses," Aberman said. He suspects he is not the only one wondering, though at this time we don't know how many Ohio drivers have been affected.